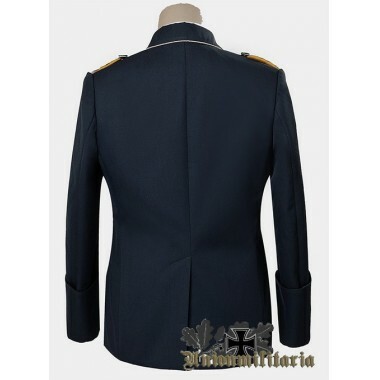 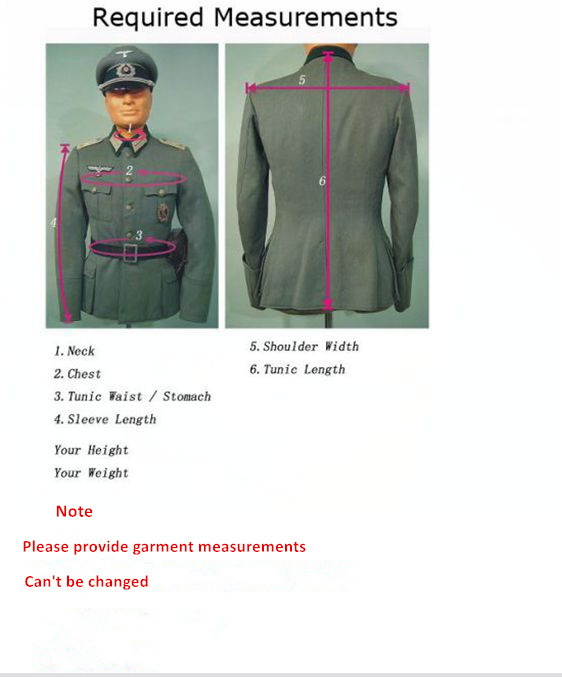 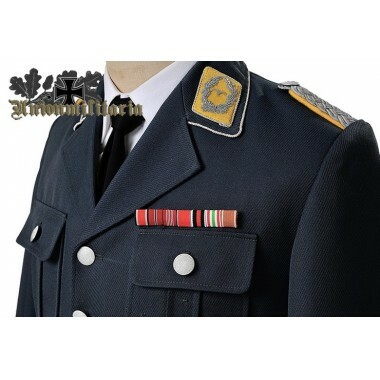 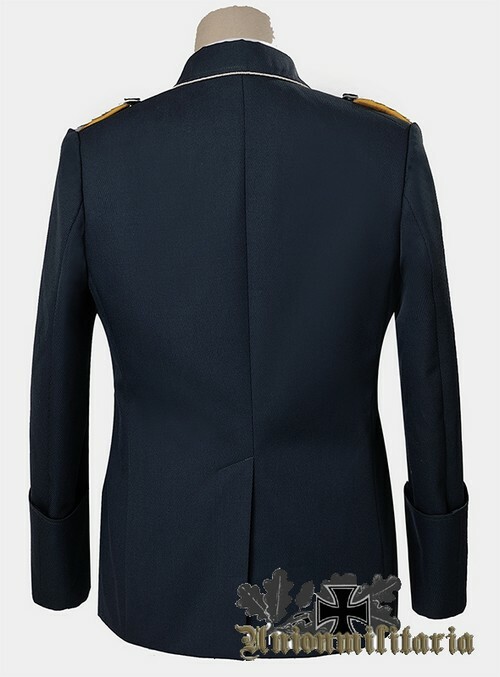 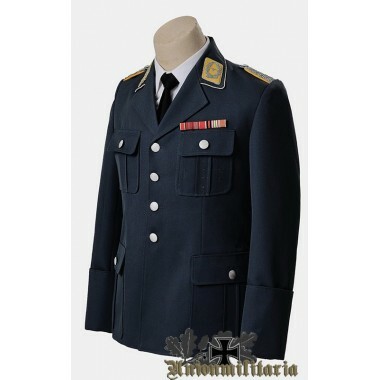 Get the best Luftwaffe Officer Service Tunic on the market at the best price,price includes shipping. 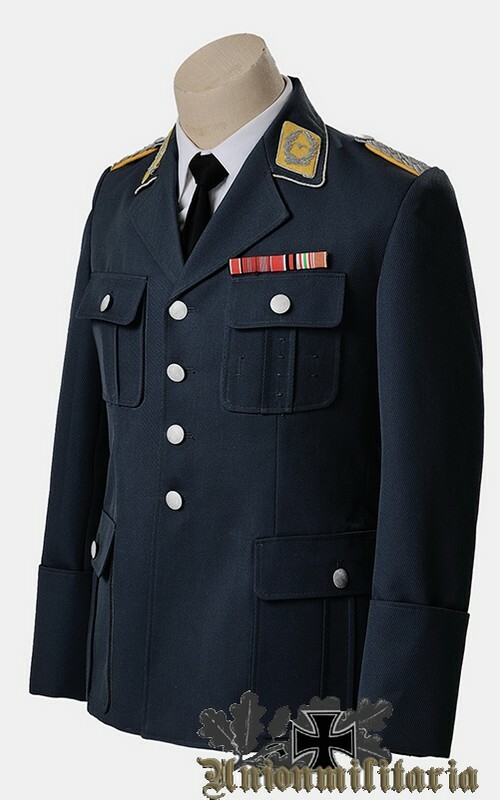 Luftwaffe Service Tunic(“Tuchrock”),was designed for everyday wear in 1935.It was worn with straight or baggy gray-blue trousers for enlisted man,and with breeches for officers. 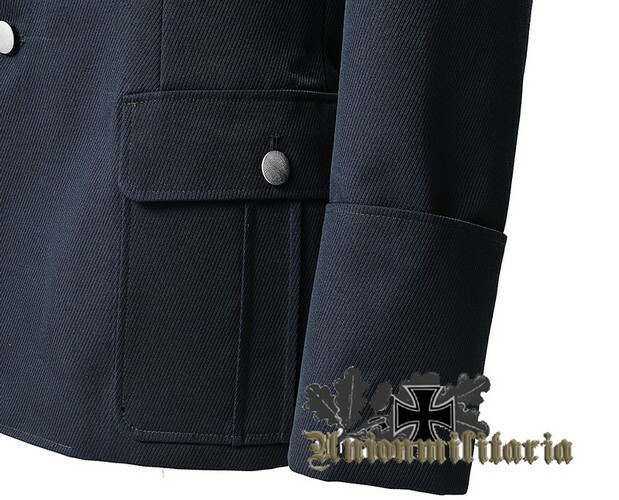 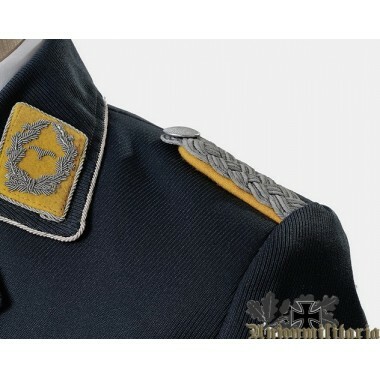 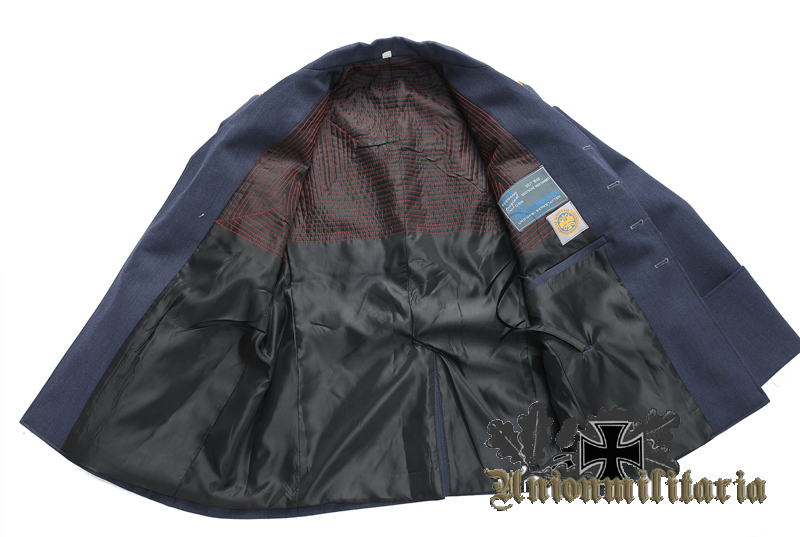 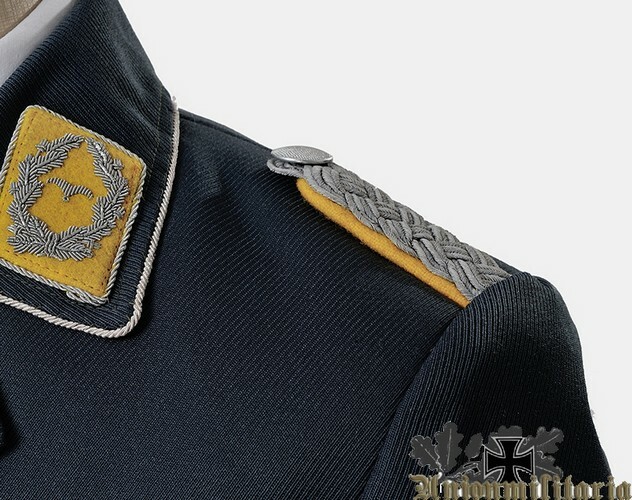 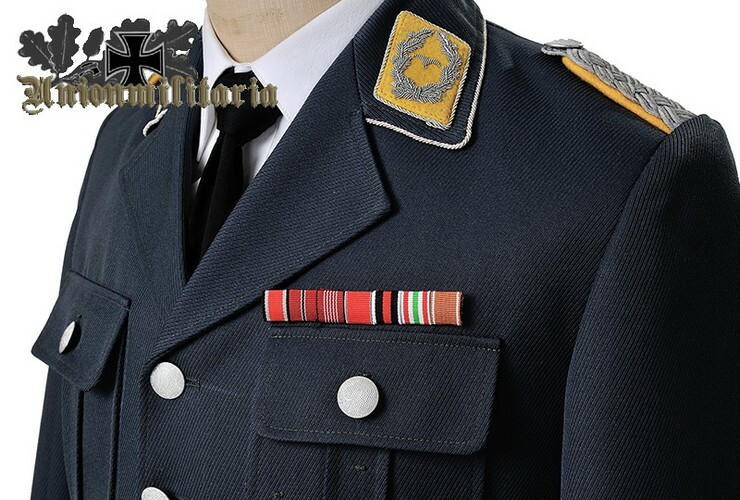 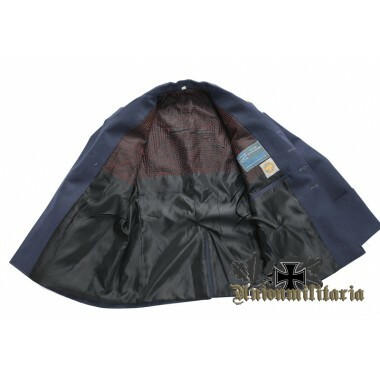 Superb reproduction of WW2 German Luftwaffe Service Tunic,made from quality blue gray gabardine. 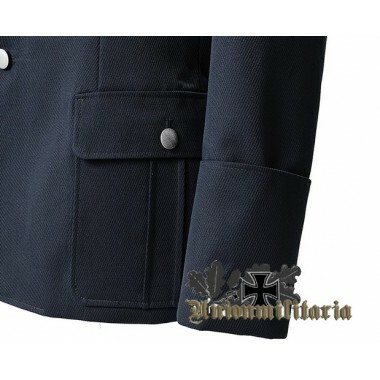 Four silver buttons down the front,open collar piped in silver twisted cord,four pleated pockets,french cuffs.Interior has quality rayon lining,internal belt,dager hanger slit,internal pocket and G.Assmann tailor label and owner label.